The following terms and conditions of purchase apply to all orders from Serta, Inc. ("Serta") by you as the buyer ("Buyer" or “you”). You as the party placing the order represent that you as the Buyer have the ability to place the order. NO CONTRARY TERMS. ORDERS ARE NOT BINDING ON SERTA UNLESS ACCEPTED BY SERTA. ACCEPTANCE OF BUYER'S ORDER IS CONDITIONED UPON BUYER'S ASSENT TO THE FOLLOWING TERMS & CONDITIONS OF PURCHASE, AND ANY INCONSISTENT PROVISIONS OF ANY PURCHASE ORDER OR OTHER WRITING SHALL NOT CONSTITUTE A PART OF THE CONTRACT OF SALE. If any of these terms and conditions are not acceptable to Buyer, Serta must be notified promptly. Prices remain valid while they are listed and offered on this Website. Product availability may be limited. Products may not be available for immediate delivery. We reserve the right, without liability or prior notice, to revise or cease to make available any or all products. The price of the products ordered will be the price posted on the Website as of the date of the order. All Serta prices reflect Buyer's net cost in U.S. currency. The prices do not include applicable federal, state, and local taxes, charges and duties. You will pay all such costs, taxes, charges, and duties. Serta reserves the right to adjust and communicate pricing should an error be found in published material. Orders are not binding on Serta unless accepted by Serta. Acceptance is determined at our sole discretion and orders can be rejected for any reason at any time. Payments may be made via credit or debit card only. Your form of payment will be confirmed at the time you place your order. Your payment for all charges will be processed and your credit or debit card charged at the time you place your order. All product charges will be collected at the time you place your order. Payment via credit or debit card is subject to the approval of the financial institution issuing your card. If the card information that submitted is incorrect or invalid, we cannot process your order. Neither Serta nor any of its suppliers or service providers has any liability if your financial institution fails to accept or honor your card for any reason. We also accept financing and at your request will pass through your financing application on your behalf to Monterey Financial Services. To cancel a Serta mattress or mattress set order, please call us at 888-919-3174. You cannot cancel an order online. Applies to all Serta Accessories including bed frames, crib mattresses, sheets, pillows, mattress protectors and pet beds. Orders for Serta accessories are processed immediately upon order confirmation to ship. Therefore, there are no cancellations on Serta Accessories orders. If you would like to return an accessory order once it has been delivered, you may ship it back to us in the original, unopened packaging. You are responsible for the cost of shipping. Once the returned items are received, you will be refunded the original purchase amount minus the shipping costs (if not paid by you already) and a 15% restocking fee. If you have any questions about returning an accessories order, or if you find that your accessories order arrived with damage or a defect after opening, please call us at 888-919-3174. Mattresses and Foundations. All mattress sets sold through our Website will be delivered free of charge through a delivery agent selected by Serta. Please note that delivery on mattresses and foundations is only available in the Continental U.S. We cannot deliver mattresses or foundations to Alaska, Hawaii, Puerto Rico, APO or FPO addresses and other US Territories. Mattresses and foundations are too heavy/large to ship via the small package delivery services (e.g. UPS, FedEx) so they will be sent to you free of charge via a white glove freight delivery. “White glove freight” is different than standard UPS, FedEx, or US Mail in that the carrier takes a larger part in making sure the product you are purchasing makes it safely off of their truck. The delivery service is a “White Glove”, two-person service that includes inside placement to a room of your choice, stair carry up to two flights, unpacking, set up of basic frame (tool less), set up of the adjustable base (if included in your order) and removal of debris. The delivery service will also relocate your old mattress (not frames or adjustable foundations) to another room without set up or remove and dispose of it as long as it is not deemed hazardous. Delivery agents will refuse to move or pick up your old mattress if they feel it is unsanitary for any reason including bed bugs, stains and spills. 1. Standard delivery service is Monday – Friday 8:00 AM – 8:00 PM and limited Saturday delivery, except for Holidays including New Year’s Day, Good Friday, Memorial Day, Independence Day, Labor Day, Thanksgiving Day, Friday After Thanksgiving Day, Christmas Eve Day, and Christmas Day. 2. An automated pre-call contact will be attempted within 24 hours after the confirmation of an order. The delivery agent will call when the product is received to schedule delivery. 3. The delivery agent will attempt to deliver within a (4) four hour window and within (10) ten business days of receipt of product from Serta. Serta makes every effort to deliver our mattress to the delivery agent within (7-10) seven to ten business days of our receipt of the order. One other important thing to remember about the delivery service is that you MUST inspect the package at the time of delivery. (See Damaged Items below). Accessories. All accessory items including bed frames, crib mattresses, sheets, pillows, mattress protectors and pet beds will be shipped via ground service using a carrier selected by Serta. Serta ships most in-stock orders to the Continental U.S. within 2 business days of receipt. Standard shipping rates apply. Please allow 5-10 days for delivery of merchandise (Monday through Friday, not including holidays). Standard shipping is available for the Continental U.S. Shipping to P.O. boxes, APO and FPO addresses may involve additional charges. Please note: Delivery to APO and FPO addresses may take 4-6 weeks. We cannot ship orders to Alaska or Hawaii. Standard shipping is free for accessory orders with a value of $100 or more. A $9.95 shipping charge will be assessed for accessory orders less than $100 in value. Expedited 2 day shipping is available for select items at an additional charge of $25 per item. A flat charge of $25 is assessed for shipping bed frames. Shipping to P.O. boxes, APO and FPO addresses may involve additional charges which will be noted at the time of checkout. Your Serta mattress and foundation purchased via our online store will be made just for you at one of our Serta manufacturing facilities upon receipt of a confirmed order, so you can expect delivery between 10 and 21 business days from the date of your order confirmation. This estimate is based on our experience and it could be more or less. You will receive a call from our local delivery partner to make delivery arrangements approximately 1 week after your order has been shipped from our facility. You can easily check on the status of your order at any time by visiting wherezmyorder.com and entering your order number and zip code. If you have any further questions on your order status, can also call us at 888-919-3174. Note also that your bed frame (if you chose one as part of your order) will ship from a different location than your mattress set. The bed frame should arrive well before your mattress set, so please keep it close to the area you plan to have the bed set up. This allows the delivery company to complete the bed set-up without delay. 2. You can write “PRODUCT DAMAGED” clearly on the sheet that you are asked to sign by the delivery agent. This simply insures that if there is any damage, it will be resolved efficiently. You can then follow up directly with us at 888-919-3174 to arrange a replacement item, if necessary. If you find that your accessories order arrived with damage or defect after opening the packaging, please call us at 888-919-3174. If we find that there is an issue with the product or a fault in shipping you an incorrect item, we will arrange for a return or exchange at our expense. Mattresses and Foundations. Serta mattress and foundations can only be returned or exchanged under the conditions of our iComfort/iSeries 120 Day in Home Trial and Serta 45 Day Comfort Assurance programs. In both cases, you must sleep on the mattress a minimum of 30 nights before initiating a return or exchange. You will have to pay a 15% return and disposal fee plus $200 for shipping and handling, which will be deducted from the amount credited to you for your return. In the case of a return with no exchange, your credit will be issued when the returned product is received back at the Serta factory. Serta will not accept or credit returns of any product that is stained or otherwise damaged in a way that would violate the terms of our warranty. Please contact us at 888-919-3174 if you have any question on these programs. PLEASE NOTE THAT ALL ADJUSTABLE FOUNDATION SALES ARE FINAL. ADJUSTABLE FOUNDATIONS CANNOT BE RETURNED FOR ANY REASON. If you discover a defect or other problem with your adjustable foundation, you must call the dedicated customer service number supplied with the foundation. A team of specialists will attempt to resolve your issue or arrange a service call. Accessories. If you would like to return an accessory order once it has been delivered, you must call us at 888-919-3174 to request an RMA number and then ship the item back to us in the original, unopened packaging. We will not accept returns of accessory items that have been used or otherwise damaged from their original condition. You are responsible for the cost of shipping. Once the returned items are received, you will be refunded the original purchase amount minus the shipping costs (if not paid by you already) and a 15% restocking fee. Non-Returnable Items. There are no returns on adjustable foundations, clearance items or special purchases. These sales are final. Applies to iComfort and iSeries mattresses and standard foundations only; see the Serta Comfort Assurance Policy for information on all other Serta mattresses. Does not apply to bed frames or adjustable foundations (such as the Serta® Motion Perfect®, Motion Custom™ or Motion Essentials™ adjustable foundations).  We want you to make your iComfort or iSeries Sleep System by Serta purchase with complete confidence. We know that that even after making a careful selection, sometimes people may need a different level of comfort. That is why your iComfort or iSeries mattress and standard foundation purchase is backed by our 120 Day In-Home Trial Policy. 2. Sleep on the mattress for a minimum of 30 nights to allow your body to adjust to your new mattress. Once your body has adjusted to the comfort and support of your new mattress, you will know for sure whether or not you have made the right selection. 3. If you are not happy for any reason within the first 120 days (and after the first 30 nights sleeping on the mattress) call our Customer Service staff at 888-919-3174 and we will answer any questions you might have.  Does not apply to iComfort® or iSeries® mattress or standard foundations – please see the separate iComfort/iSeries 120 Day In-Home Trial Policy for details. Does not apply to bed frames or adjustable foundations (such as the Serta® Motion Perfect®, Motion Custom™ or Motion Essentials™ adjustable foundations). Also excludes any other Serta® or iComfort® accessories. We want you to make your Serta mattress or mattress/standard foundation set purchase with complete confidence. We know that that even after making a careful selection, sometimes people may need a different level of comfort. That is why your Serta mattress purchase is backed by our 45-day Comfort Assurance Program. We ask that you spend at least 30 nights sleeping on your new mattress to allow your body time to adjust to it. Once your body has adjusted to the comfort and support of your new mattress, you will know for sure whether or not you have made the right selection. If you wish to return or exchange your mattress after 30 days, we will authorize the return for up to 45 days after delivery. All you have to pay is a 15% return and disposal fee plus $200 for shipping and handling, which will be deducted from the amount credited back to the credit card used to make the purchase. We will cover all other expenses. Please call us at 888-919-3174 if you have any questions or want to initiate a return or exchange. Please note that there is a limit of one trial per customer and Serta will not accept or credit returns of any product that is stained or otherwise damaged in a way that would violate the terms of our warranty. 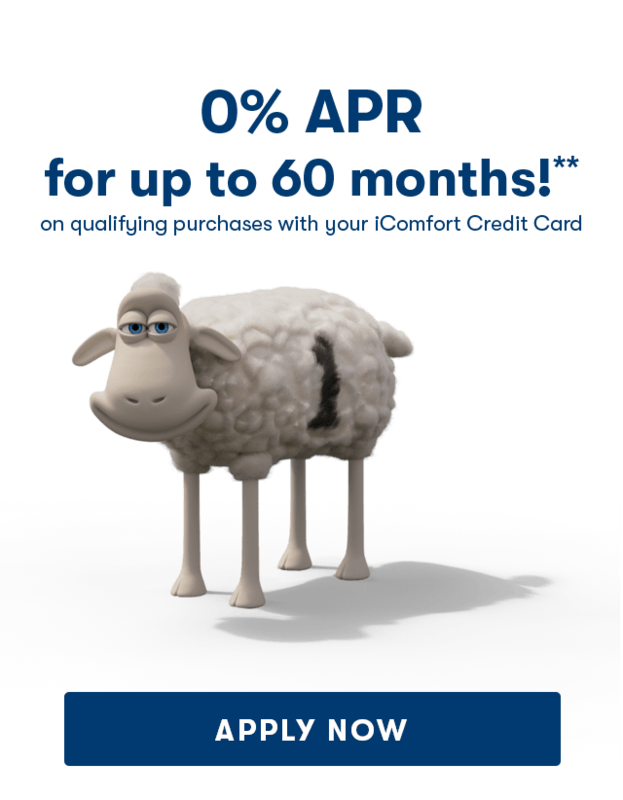 Please refer to your Serta mattress warranty card for further details. You can also download a copy of the warranty here http://www.serta.com/customer-care/warranty-registration/. The validity, construction and enforcement of these Terms & Conditions of Purchase between Serta and Buyer shall be governed by and interpreted under the laws of the State of Illinois and are the sole terms applicable to Buyer's purchase of products. In the event of any dispute arising out of this agreement, you consent to the personal jurisdiction of the federal and/or state courts located in the County of Cook, State of Illinois, United States of America.